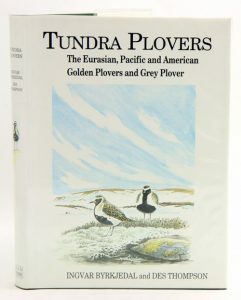 Tundra plovers: the Eurasian, Pacific and American golden plovers and grey plover. Artist/Author: Byrkjedal, Ingvar and Des Thompson. Examines the taxonomy, appearance, behaviour, ecology and conservation of the Golden and Grey Plovers. There are four species of tundra plover: the Grey Plover, and the Eurasian, Pacific and American golden plovers. They breed only in the northern hemisphere, principally on tundra, and migrate far south to coastal mudflats, saltings and agricultural landscapes. They have attracted avid interest from birdwatchers and researchers worldwide, not least the authors who have studied all four species. The Eurasian Golden Plover has a special claim to fame as questions over its flight speed first prompted the compilation of the world best seller The Guinness Book of Records! This ground-breaking book on shorebirds (waders) examines the taxonomy, appearance, behaviour, ecology and conservation of the Golden and Grey Plovers, and compares and contrasts their natural history and biogeography. There are detailed accounts of all aspects of lifestyle including feeding, mating, parental care, moults, migration and avoidance of predators. The personal touches in this book add immensely to its value, not least the authors’ first hand experiences of the birds and their haunts. Most of their work presented here has not been published before, adding to the significance of this highly original book. Long-awaited considerations of differences in plumage, vocalizations, habitat use, breeding, movements and food are included. The links between phylogeny, biogeography and behaviour are bound to excite interest. The comparative approach is highly detailed and refreshing, and marks the book as a classic. Ingvar Byrkjedal has also contributed all of the wonderful colour and line illustrations. Over fifty-five photographs, over one hundred and twenty tables and figures, and many other embellishments complete this definitive book. Artist/Author: Cheke, Robert A. and Clive Mann. 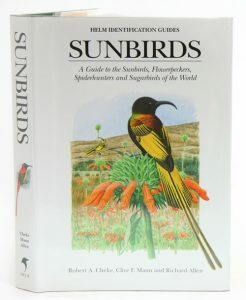 The first book since the 19th century to cover in detail all the world’s sunbirds and spiderhunters (Nectarinidae) as well as the allied families of flowerpeckers and sugarbirds. A total of 176 species are described and illustrated. The text describes in detail, ecology, behaviour and geographic diversity of each species, while the illustrations cover many of the more distinctive subspecies. There are also distribution maps and a wealth of observational detail. Artist/Author: Kirwan, Guy and Graeme Green. The New World tropics possess the richest avifauna on Earth, with more than 4000 recorded species, many of which are endemic. 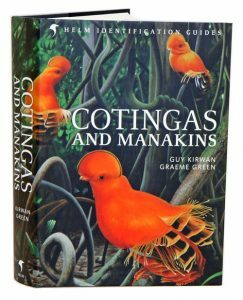 Two groups found exclusively in this region are the cotingas and the manakins. Few other families of birds have such widespread appeal; they are much sought-after by birdwatchers for their colourful displays, unusual plumages and, in some cases, great rarity. For scientists, their natural history and behaviour provide fascinating case studies that yield important data in the quest to understand evolutionary biology, while, for taxonomists, elucidating their relationships has proved at times fascinatingly elusive, with many novel and unusual developments. Two decades ago the species covered in this book were generally considered to comprise two families, but ongoing molecular work has revealed much about the relationships of these birds. One new family has been erected (the Tityridae) and another more widely recognised (Oxyruncidae). These and other results spawned principally by genetic research mean that this diverse assemblage of species is now considered to belong to at least five different families. This book represents the definitive work on these jewels of the Neotropics, looking in detail at more than l30 species. These range from some of the rarest and most enigmatic birds in the world to some of the best-studied of all tropical species; many are breathtakingly colourful and ornate, but some are dowdy and difficult to see. The authors have leant heavily on the published literature, but have also included many personal, previously unpublished data, based on both field and museum studies. The texts are supported by 34 colour plates by Eustace Barnes, who has also observed many of the species in the field, as well as by detailed distribution maps and approximately 400 stunning photographs that cover all but a tiny handful of species. Artist/Author: Jaramillo, Alavaro and Peter Burke. Artist/Author: del Hoyo, Josep et al., editors. This title is not held in stock but we are happy to supply on special order. Please contact us. Species accounts cover taxonomy, distribution (including subspecies), habitat, feeding, breeding, movements, status and conservation. 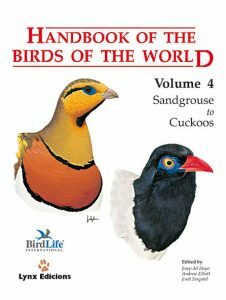 Volume 4 deals with four orders and contains a foreword on species concepts and species limits in ornithology. Artist/Author: Raffaele, Herbert et al. 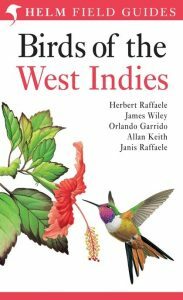 The first guide to all the birds known to occur in the West Indies, including migrants and vagrants, over 560 species in all. Detailed introductory sections are followed by the plates and then species texts. 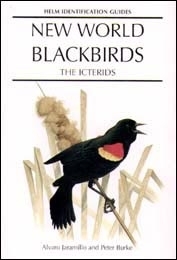 Each text includes sections on iedentification, local names, voice, status and range, habitat, nesting, and general comments of interest about the bird. Accompanying each species text is a distribution map, excluding vagrants and extinct species, showing the bird’s range within the West Indies. There is also a Locality Checklist at the end of the book, providing an at-a-glance, island by island guide to the distribution and status of every species. Artist/Author: Taylor, Barry and Ber van Perlo. Most species are solitary and somewhat secretive and are therefore high on the “want” lists of many birdwatchers. This book describes and illustrates 145 rail species, comprising all living species, including two that have only recently been described, and also ten which have recently become extinct and two which are almost certainly extinct, plus all recently extinct races of surviving species. This book is the first to give precise information on field identification (including voice) for all species and races for which details are known, and for the first time it describes the immature and juvenile plumages of many species. It also provides a detailed summary of our current knowledge of all aspects of rail biology and behaviour. Artist/Author: Gatter, Wulf and Martin Woodcock. In geographical terms, Liberia is still regarded as one of the least known areas of Africa. An inventory of its birds was only undertaken for the first time in the 1960s and 1970s. Liberia has the most extensive area of rainforest within the Upper Guinea region of West Africa. In 1980, half the country was covered by primary forest and ­significant areas of lowland rainforest were only first surveyed after 1981. 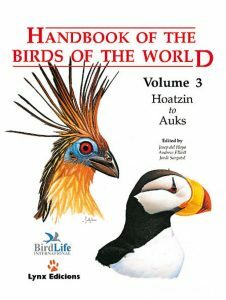 This book is the result of 15 years of research by the author and includes a complete checklist of the birds of the region. It contains distribution maps for 400 species as well as a wealth of other ornithological information. Fresh insights are given into the impact of forest destruction on the distribution of species. There is also new information on the movement of diurnal migrants and the numbers and ecology of migrant Palearctic and Afrotropical species. Of particular interest are the recently ­discovered endemic species in the region of Mt. Nimba which straddles the border of Guinea and the Ivory Coast. 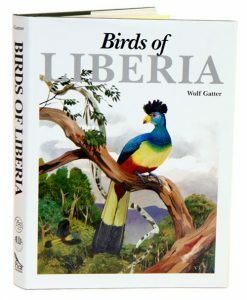 This book adds considerably to our knowledge of West African birds and will be regarded as a model for future studies of the area. 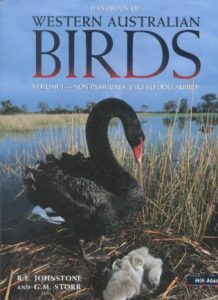 Handbook of Western Australian birds, Volume one: Non-passerines (Emu to Dollarbird). Artist/Author: Johnstone, R. F. and G.M. Storr. Covers all offshore islands including Ashmore Reef, Christmas Island and Cocos Keeling Island. Volume 2 [stock id 14041]. 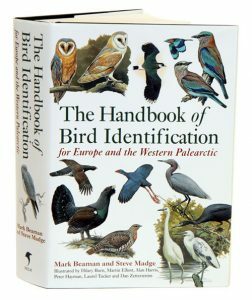 The handbook of bird identification for Europe and the Western Palearctic. Artist/Author: Beaman, Mark and Steve Madge. The first identification guide to cover all the species to have occurred in the region, illustrating every one (including vagrants and accidentals). The species are organised by family, with each family introduction followed by the species accounts and relevant colour plates; text and plates are fully cross-referenced for easy use. Status and habitat are described in detail and the colour range maps provide clear distribution information. 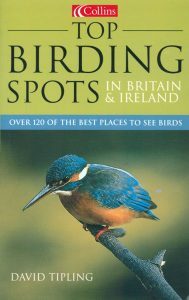 Top birding spots in Britain and Ireland. The most up-to-date guide to the best bird watching spots in Britain and Ireland – over 120 sites. This title is not held in stock but we are happy to supply on special order. Please contact us. Completed in sixteen volumes. Species accounts cover taxonomy, distribution (including subspecies), habitat, feeding, breeding, movements, status and conservation. 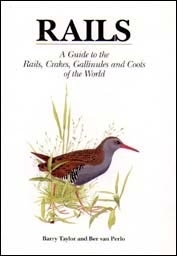 This volume in the incredible work covers 30 families (including cranes, bustards, rails, gulls, terns and waders), and is one of the larger ones of the whole series. The authors include 35 experts from eleven countries. This volume has a foreword on art and nature.